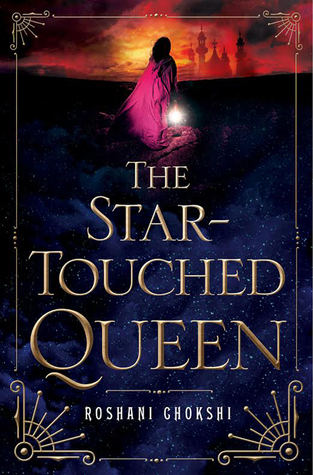 The Star-Touched Queen is heavily infused with Indian mythology and purple prose. The lyrical metaphors and lush descriptions really makes this book stand out from the plethora of books that are released this year. It is definitely a book to savor and it is not made to rush through as many would with the typical straightforward writing in YA. I admit the premise intrigued me and I’ve always been interested in the Persephone and Hades mythology. There’s some sort of allure that defines that myth and it’s interesting how it plays out although it does technically center around Stockholm Syndrome. Of course, there are ways to play around that particular sore spot and that is exactly what the book does. However, nothing is what it seems and Amar is never portrayed as a villain. The circumstances of Maya’s position in society makes her an expendable pawn in the game of kings. Thus, when Amar and Maya meet, it’s not the ideal situation but Amar does not commit any nefarious deeds. There’s a lot of mystery shrouded around his character so there is a shaky ground of trust that forms their relationship. I think the dynamic between the two is a weak part in the story because they barely know each other. A strong relationship, as Maya has mentioned, requires trust and no secrets. Although secrets are interwoven as a necessity in the plot, it is the root of conflict and it could have been better portrayed without making it seem like a redundant obstacle. I did not feel like the chemistry and Amar’s character was not as fleshed-out as it can be. In short, his background felt lacking and could have been expanded on to make him a viable love interest. The strongest point of the plot is the ethnic culture and the wealth of vocabulary that enriched the story. The worldbuilding was well-written which makes sense because a lot of it was taken out of the history books. I can definitely see that the author did her research and the fashion, specific vocabulary, and labels for certain items all fit to create a rich realistic storyline. I don’t have extensive knowledge of Indian culture and history but I felt immersed into the world and the glossary in the back of the story definitely helped me get more acquainted. The mythology is interesting and I loved the passages when Maya told a myth. They were relevant to the plot and added more depth into understanding how her life can be fitted around these myths. Chokshi weaves a simple but elegant story that mixes eloquent prose to create a tremendously powerful book. It is a retelling and thus people who know the tale may not be impressed. And this is where the writer’s strength shines the most because she takes this type of retelling and maximizes the charm of each part through her descriptive writing. If it was any other author, I am not sure she/he would be able to pull off the same effect that Chokshi’s writing did. I anticipate the next book she writes. I’m seriously so excited for this one. It previously went by the title of The Bride of Dusk and Glass, and I’m happy they changed it because the current one sounds good and looks great on the cover.